11D’s unique formula was devised by the founder Cok Meijer back in 1994. Mr. Meijer, a former pilot and entrepreneur is the inventor of the unique 11D Formula. Spending six months working closely together with suppliers and other experts, he devised the 11D Formula step-by-step. Sealing a puncture with a permanent solution was the goal in this process, and after an extensive testing procedure in cooperation with TNO – the 11th test specimen was found to deliver the desired results. Over the years, the formula has been altered to meet the requirements of both fasting moving vehicles (where an improved viscosity does not compensate the driveability of the vehicle) and slow moving heavy equipment (where sealing larger punctures is an issue). 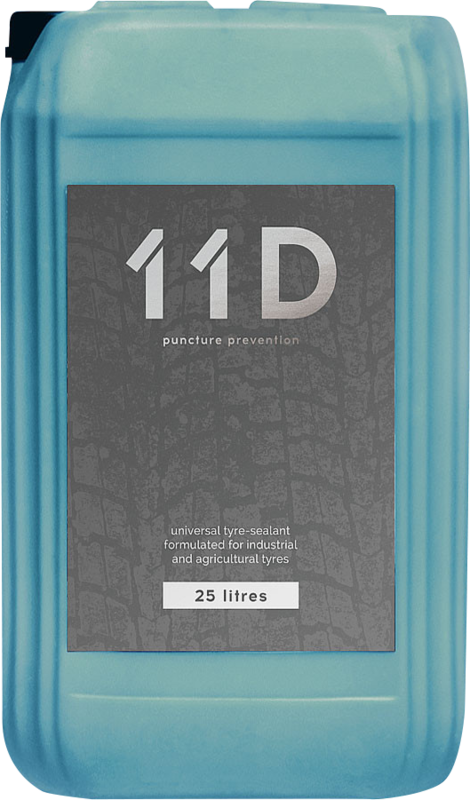 In 2015 the technical limits of sealing punctures where explored, with the development of 11D Protector. Designed to be used in military equipment and under hazardous circumstances, 11D Protector is currently used on NATO missions and is available under standard NATO ordering procedures. The 11D network has been spreading rapidly over the last 15 years and has evolved in a global network of distributors and resellers active on four continents. The distribution network now spreads from Chile to Canada, to Finland, South Africa and India. Furthermore, 11D has found private label partners who carry the 11D product range as their own, using their excellent reputation to sell it within their own network. The founder, Mr. Meijer, still remains active within the company as a special advisor to this day. His knowledge and experience with 11D, its network and built up relationships remains to be a valuable asset to the company. Over the years I have thoroughly enjoyed expanding our distribution network. It has shown me the world. It still is an amazing thought that 11D keeps companies mobile, preventing costly downtime. It has been a very rewarding journey for me, allowing me to build up close and personal relationships with our business partners.